I loved Tom Burlinson once upon a time – The Man From Snowy River came out during my teen years so I had a big crush on him and I adored the movie. I have this series in my Netflix queue and can’t wait to see it! I know what you mean about Tom Burlinson! I was so taken with him in POC that I sought out The Man from Snowy River to see more of him. Thanks for your excellent review Laura! I loved this series, too, when it first aired. 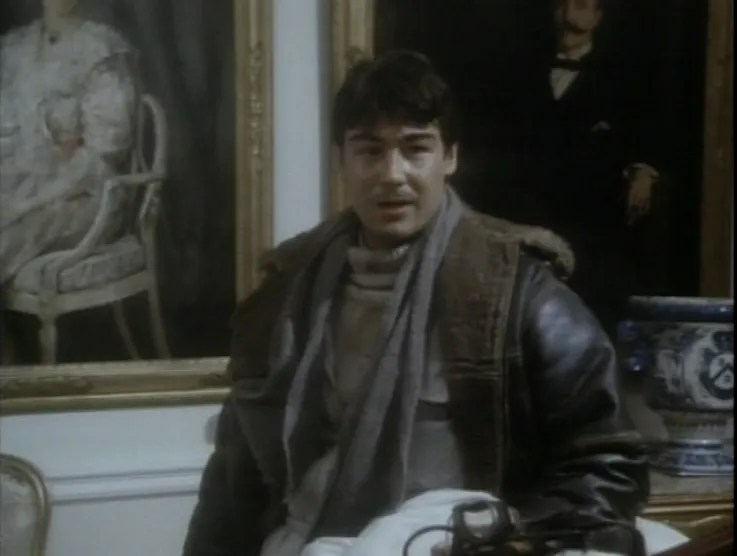 At that time the actor who caught my eye was Nathaniel Parker. But I thought Jeremy’s character was so sweet and endearing . . . Recently I rented the series and loved every minute, for all the reasons you mentioned. It’s a gem. I’m not sure what it says about me, but Fitz was the one who stole my heart. But Jeremy disappeared from my radar until Emma came along and even then I didn’t make the connection! I’m embarassed to admit it was only a few years ago that I realized he was Fitz. I think Jeremy might be quite pleased about that, actually! This series is still very watchable, 20 years on, but I don’t think anything like it would be made today, which makes it all the more precious. 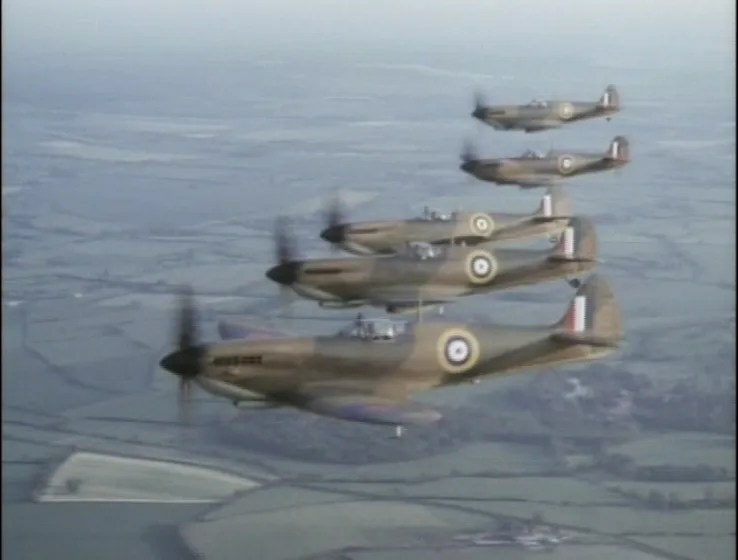 For a start, there wouldn’t be the money for the aerial sequences. There’s a real anti-war feel to it, I agree, but there’s also an innocence as well, which was present at the time it was both set and made, but which I think it would be impossible to replicate now. And Jeremy’s Fitz reflects and captures it best, young men just aren’t like that today, and that’s why he’s so utterly charming. The scene in the library and at the cottage where he’s having a little trouble are played so beautifully. You’re quite right, it’s impossible not to fall in love with him! I thought your review was very very good. You helped me visualize the main themes and Jeremy’s role in them. I hope you do more reviews as well. 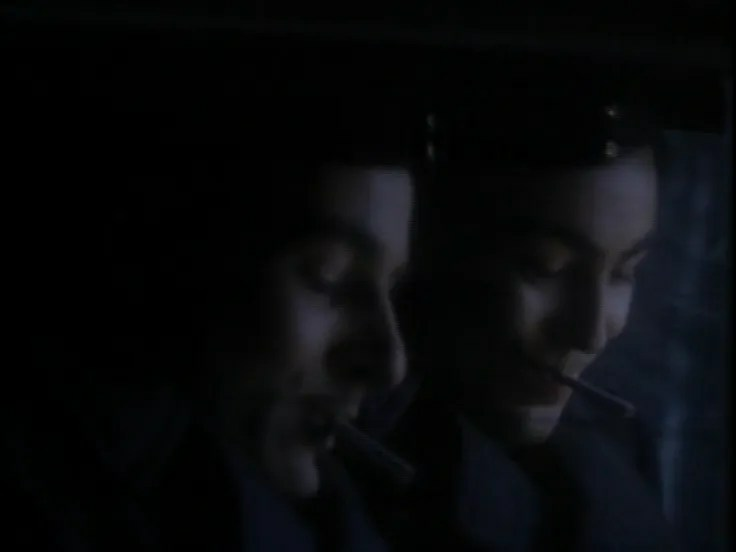 I can see how we all would fall in love with Jeremy Northam from just the photos. He has charisma and warmth. He was wonderful if a trifle young in EMMA but I watch it for him period. Thank you again, you captured his signal qualities. 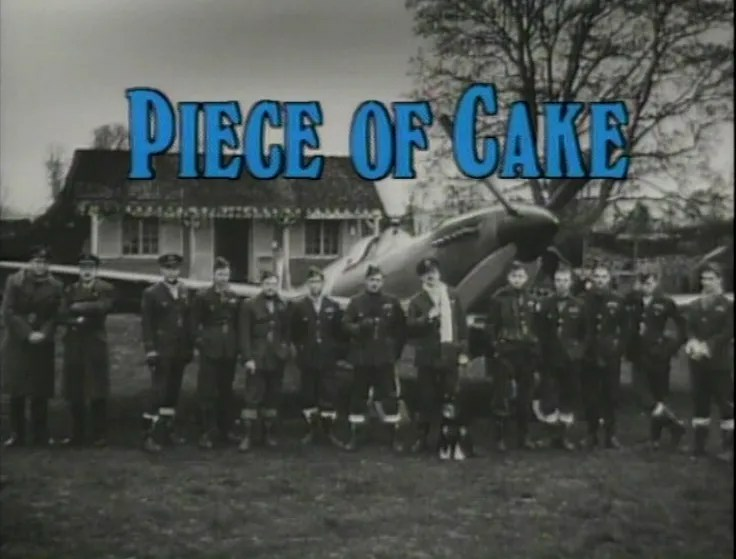 Thank you for your kind words about my “piece” of Piece of Cake! I’m glad you enjoyed it, Rosamond. Very good work and very nice writing, Laura. You`ve spoken my thoughts. These series are moving me deeply every time I watch it. It shows the destiny of young men , may say forced into war before they even could thought about it, very realistic. (Sorry for my bad English). As a German (although not of that generation) I`m always painfully aware of our inglorious role during WW II. But there is no apportionment between the international rank and file of the war, only a demonstration what horrible harm it can do to the soul of all participants. 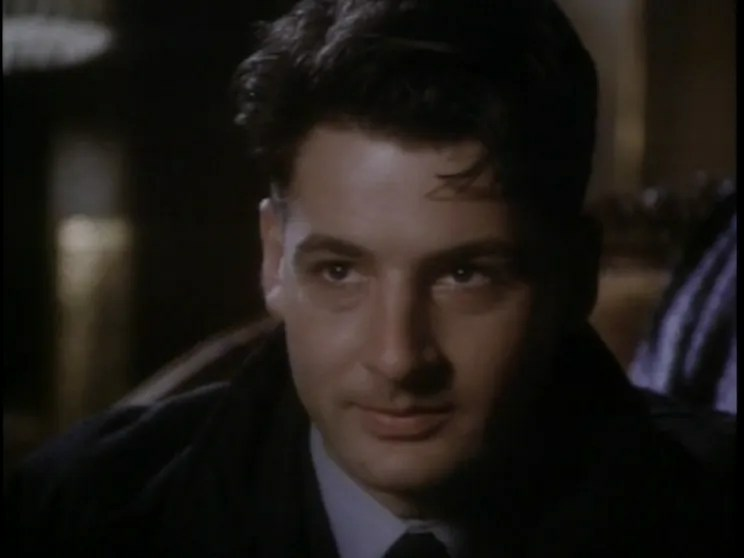 Yes, and for Jeremy Northam: innocent, loveable, beautiful, reticent acting but anyway outstandig. I loved the scene in the library,too, when Fitz unburdened himself to “Skull” Skelton (Richard Hope, he`s great, too) about his “little engine-problem”. I ment “apportionment of blame” of course! Thanks, Martina! Your English is very good–a heck of a lot better than my German! And you’re right, POC doesn’t point the finger of blame. Instead, it shows how the cruelties and absurdities of war can affect anyone. That’s one of the things I like most about the series. I like the character of Skull Skelton a great deal & agree that Richard Hope was great in the role. He gets to say my very favorite line in the series. The pilots are roughousing in the library of the French chateau and have started throwing books at one another. Skull picks up a book that has landed near him and says: “That’s Voltaire. They shouldn’t throw Voltaire!” Makes me laugh every time! The library scene is my favorite scene, too. I love how uncomfortable Jeremy is as he talks to Skull. I actually host this scene over on YouTube if you would like to watch it again. Richard Hope’s performance as Skull is my favorite as he is so subtle, yet conveys volumes with just his eyes! The best thing about that scene is that it puts the spotlight on two wonderful actors. Richard Hope is marvellous as Skull! You’re right that he’s very subtle; he’s also got great comedic timing. The question he asks Fitz about starting a greengrocer’s is a good example. It could have been delivered in a very different manner, as more of a joke. It’s perfect the way Richard delivers it: conversationally. It’s still a funny line, but it doesn’t disrupt the flow of the scene. Very nicely done. 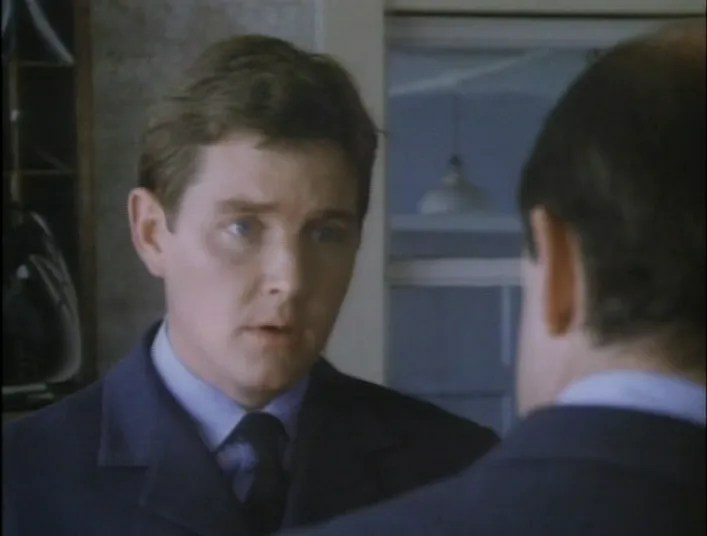 Wouldn’t it be great to see Richard and Jeremy act together again now? With all the experience the two have garnered over the years there would be some serious acting chops in the room if they ever did! I’ve never seen Piece of Cake. I have found many a JN treasure at the library though. Fatal Inversion, thank you very much! That old episode of Poirot, as well. I was struck by how much the young JN looks like the young Cary Grant in some of these pictures. I could reminisce about this all day, but having read Derek R, Richard H and now this post I really must do some work! Thank you for the memories. Makes me want to re re-read the book and re-watch the series.